Are you looking to buy a new mattress near New York City? It’s a massive place and we spent the time to narrow down some of your best options for finding the best deal on a new mattress based on your priorities. The “City that Never Sleeps” has a secret to share, the people who live there do. And for good reason, with the high-pressures to perform at the top of your game and all of the excitement the city can bring. New Yorkers understand the value of a quality mattress that fits not only their budget but their apartments too. Whether you’re a student ready to take on the big apple or a lifelong New Yorker living in more spacious quarters, there’s a mattress for all price points and sensibilities. Whether you are looking for high end, organic or something that doesn’t take up too much real estate, you’ll find a quality mattress shop in New York. Check out our run down of mattress store offerings by borough below. If you’re living in Manhattan, you probably don’t take a lot of fluff which is why we have combed through the island to find you the mattress that suits your specific needs. Whether you are driven by convenience, quality, customer service or all-of-the-above, there’s something for every Manhattanite here. Mattress Firm does the job of covering ground across neighborhoods in Manhattan. Whether you live in the Upper East Side, Hell’s Kitchen, Midtown or the Upper West Side, Mattress Firm has locations convenient to your location. 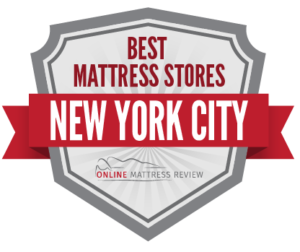 Craig’s Best (247 W. 38th St.) is a highly ranked mattress shop located in the Garment District of Midtown. Craig knows how to custom build, provide great customer service and is true to his word with regards to delivery. It is recommended that you make an appointment before heading into the showroom. Coco-Mat (195 Lexington Ave) is a New York staple for all natural, hand-crafted and high quality mattresses. Some of the materials includes organic cotton, natural latex, coconut fiber and more.The display room itself is a thing of beauty, but the great night sleep that you get each and every night free from chemical is the icing on the cake. In Soho, you may want to check out Keesta (69 Mercer St.) for their eco-friendly mattresses, and great customer service. If you’re in Brooklyn you will want to find a mattress in or near Brooklyn it self. Bushwick Mattress Builders provides you with fast delivery, quality mattresses, and unbeatable pricing. You can even get your mattress shipped on the same day. Value Furniture Warehouse is located right in downtown Brooklyn between Bond St. & Elm Pl (254 Livingston St.) and provides quality mattresses at an affordable rate with great customer service to boot. Mattress Firm offers great solid mattresses in a number of locations across the borough including Park Slope, Bedford-Stuyvesant, Flatbush, and Ridgewood among others. Heavenly Mattress (230 Bushwick Ave) in East Williamsburg is a run by a furniture veteran, locally run, and offers quality mattresses for affordable prices. NY Mattress Outlet (21 Christopher Ave) offers timely delivery, great prices, and friendly knowledgeable customer service. You will be hard-pressed to find a better value than here. Never fear if you’re out in Queens. You won’t need to make a trip across into Manhattan as there are a number of options in or near queen. If you’re wondering: where can I find a mattress in Queens we recommend you check out Victors Villa Furniture (3209 Broadway) in Astoria. Though a small shop, don’t let that fool you, each item is selected based on quality and range of needs. You will find great customer service, high quality mattresses, a friendly calm atmosphere, and straight-forward timely delivery options. If you’re looking for a smooth sale that works with your budget, try Victors Villa. Mattress Firm is King in Queens and really does a great job honing in on convenience. You won’t have to travel from one end of Queens to the other thanks to the conveniently located Mattress Firms in the borough. You will find one in Forest Hills, Flushing, Elmhurst Queens Place Mall, Bayside, Woodhaven and Lewis. Where can I find a mattress in the Bronx? The short answer is, Mattress Firm. Though we are excited to inform you that not only does Mattress Firm provide you with easily accessible and quality mattresses, it provides you with great value. If you live in the Bronx then you live near one of the only Mattress Firm Clearance stores in all of New York City. Not only will you find a great deal, but also great customer service! Express Furniture Warehouse (700 Grand Concourse) also supplies The Bronx with mattresses. This mattress store provides a large array of options for your mattress needs. If you’re living on Staten Island there is no need to take the Ferry to find yourself a high quality and affordable mattress. Staten Island does have a number of Mattress Firms to cover it, but also has options for individuals who like to shop small. P.C. Richard and Son (2399 Richmond Avenue) on Staten Island is a great mattress store that provides quality customer service and wide-range of products.